What a Difference a Great Design Can Make! 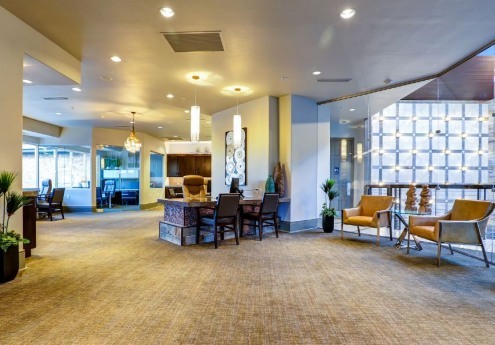 Stonebridge Builders is proud to announce its recent completion of a Broomfield Apartment Clubhouse Renovation. Taking direction from the talented Spire Design team's designs, Stonebridge completed this clubhouse remodel in just a few weeks resulting in limited downtime for the apartment community's tenants. Spire Design, located in Greenwood Village, Colorado, was founded by the Principals Kim Reinke and Christina Fritschel. Thank you to "Super Dave" Hanson, Stonebridge's Project Manager Extraordinaire for managing this project in a timely and professional manner. Thank you also to the Spire Design team for their wonderful collaboration. Top photo is the computer center before our renovation and after is the cyber cafe.